Craft strategy. Create Tasks. Track Performance. Looking to grow your business & keep everyone on the same page? All growing businesses run into some fundamental problems. zero accountability, zero task management & no monitoring. Clearly articulate, execute, and iterate on your business growth strategy in 5 simple steps. Improve teamwork and collaboration with well-defined goals to help your business grow. Task management for day-to-day activities. Identify, monitor and progress the work that individuals and teams need to do during the day. Transparent performance tracking & monitoring. Create a culture that supports measurement and transparency. Improve your overall business performance. Everybody will be pulling in the same direction. Avoid uncertainty, become more efficient, eliminate duplication and improve your bottom line. 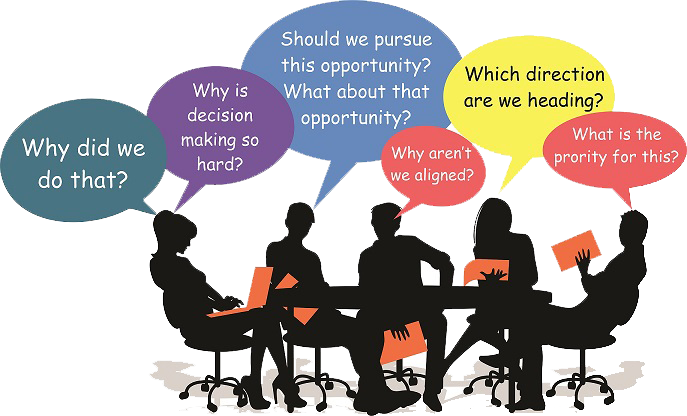 Improve decision-making with clearly defined company objectives, strategy and daily activities. You’ll know exactly where your business is headed. Set and achieve your business goals that will make it clear where your business is headed. Navigate industry challenges and uncertainty. Develop your company strategy, engage your staff and make changes in light of new or actual data. 90% have a better handle on their business growth strategy. 85% report more efficient teams. Results like these are the product of a Top 10 strategic planning business software product. FinancesOnline, CompareCamp and more agree that StratPlan was born out of passion for helping businesses. Number one again. Three years in a row. Small businesses were asked to review and rate different business management software. We were compared on value for money, customer service, ease of use, ease of integration, reporting and overall user satisfaction. StratPlan came out on top for the second year in a row. 5 Steps is all it takes. StratPlan incorporates our simple 5 step framework that includes latest and widely used business tools that can be applied to companies of all sizes and across any industry. StratPlan enables a strategic plan that is realistic and specific to your business and it encompasses steps in ways that are distinctly achievable. Using StratPlan, you can: understand external pressures, evaluate your internal business environment, develop your business strategy and then use Task Manager to align daily tasks – prioritise them and track performance. Here’s a bit more about what you can do with StratPlan. Vision, Mission, Values and Company Objectives. Describe a Vision that charts your company’s long-term direction, a Mission statement that describes your company’s purpose, and set of Values to guide the pursuit of your company Vision and Mission. Use StratPlan to describe and evaluate your Company Objectives using the balanced scorecard approach. StratPlan incorporates a wide range of industry best practice business tools such as PESTEL analysis, Competition Analysis, Factors Driving Change In Your Industry, Competitive Landscape, Competitor Analysis etc. to help you understand your external pressures. StratPlan’s logical approach enables simple interpretation of analysis that results in meaningful evaluations. StratPlan’s approach to strategic planning empowers you to easily assess your internal business situation. Using industry best practice business tools such as Strengths, Weaknesses, Opportunities, and Threats (SWOT) analysis, and Key Success Factors, you will be empowered to meaningful and realistic strategies. Strategy formulation and task management. Select from StratPlan’s extensive database of strategies to achieve your Company’s Objectives. You can select strategies from our extensive database or develop your own customised strategies. Use Task Management for projects or individual tasks setting priorities for day-to-day team management. Monitor & Track Performance against your Strategic Plan. Enables easy tracking & monitoring so you can evaluate performance and initiate corrective adjustments to your strategy in light of actual experience, changing conditions, new ideas, and new opportunities. Best of all, you do not have to be a strategic planning professional to craft strategy for your business when you use StratPlan.